Poisoned Pen Press, 9781464207198, 236pp. From the earliest days of the Republic until the administration of LBJ, the Brooklyn Navy Yard was, proudly, both an arsenal of democracy, in FDR's words, and the creator of 70,000 local jobs. In time it became best known as the scary place New Yorkers had to locate to rescue their impounded cars. And then it came back to life, but not without a war. Erica uncovers the dead man's complicated history with the Yard, with his road to wealth and a high-flyer lifestyle, and with his wives and mistresses. 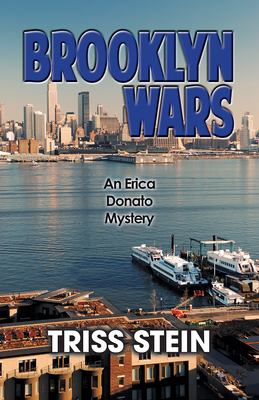 When her daughter, Chris, visits her father's relatives for a family history project, Erica goes along, and learns that the Donato clan was involved in the Navy Yard's glory days and its slow, politics-ridden death. The story of Aunt Philomena, tall and blond, one of the proud Brooklyn girls who built ships in the Yard during World War II, captivates her. After the U.S. victory these women were told to give their jobs back to the men coming home. Philomena, so strong, so happy, mysteriously faded away and died young. Under pressure to drop her chapter on the Naval Yard and finish her PhD dissertation on a final deadline, as well as from the police to step aside for safety, Erica once again discovers "what's past is prologue" to murder...and to her life.